Perfect for fluids with various viscosities plus agressive acids, bases and solvents. Using top quality seals and Impellers made of VITON provide excellent operation safety. Various motors (220, 400 V; 1.400, 2.800 U/min; 50, 60 Hz). “Star knobs” make for quick and simple replacement of the Impeller. The Ceramic sleeve to protect the motor shaft comes as standard equipment. 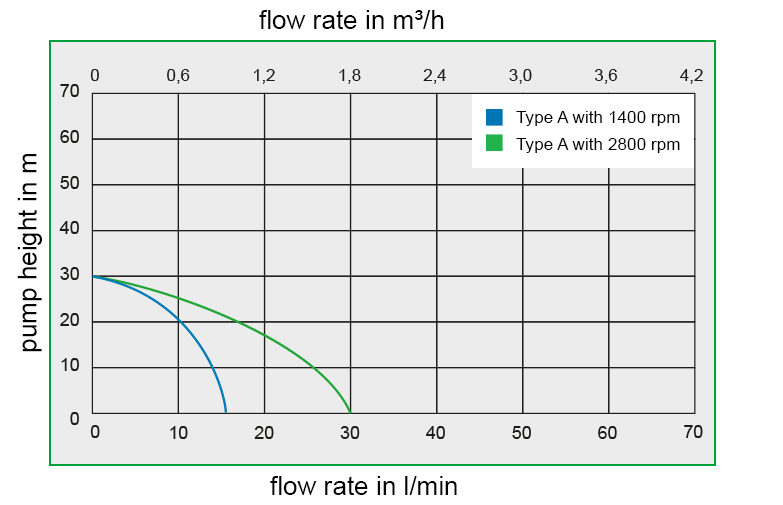 Using a frequency converter permits to adjust the pump speed or rotation direction. To be used with fluids compatible with PTFE (TEFLON®) and FPM/FKM (VITON®) only. 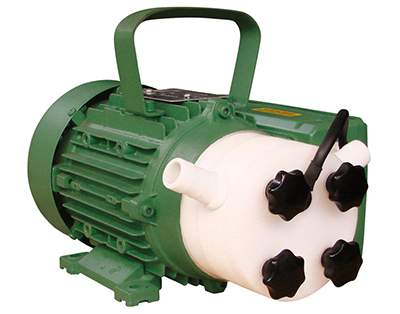 The synthetic impeller pump ACOSTAR 2000 is a complete unit consisting of pump and motor. A frequency converter allows you to regulate the flow rate continuously and precisely. Especially for the chemical sector this is very helpful.